With a population of just 17 million people, The Netherlands has an outsized influence on the Global Yachting stage, with the highest number of world class yacht builders per capita than any other nation, all wedged into a country smaller than the size of West Virginia. 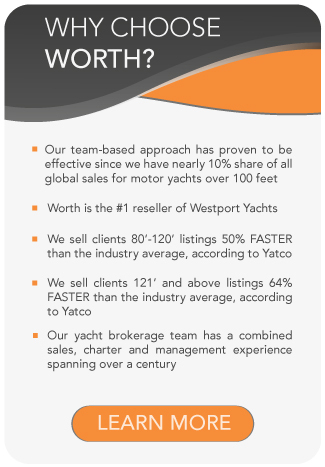 Founded after WWII in 1949, to help re-ignite the Dutch Yacht building industry, it was a marketing initiative aimed at the US market and was initially formed by Henri de Voogt, a naval architect, in association with Van Lent and De Vries family boat yards. 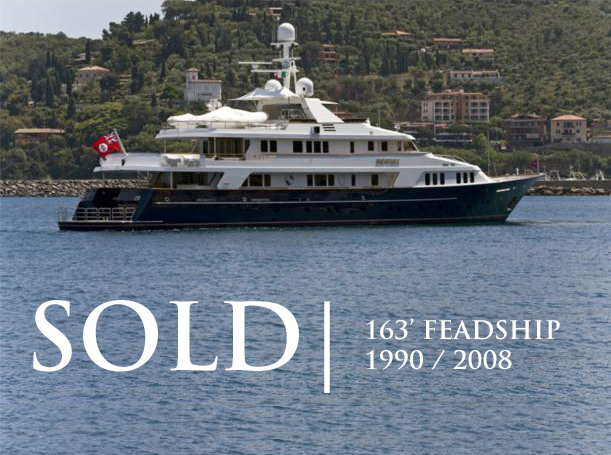 By 1968 there were 7 companies in Feadship, including the original 3 companies. 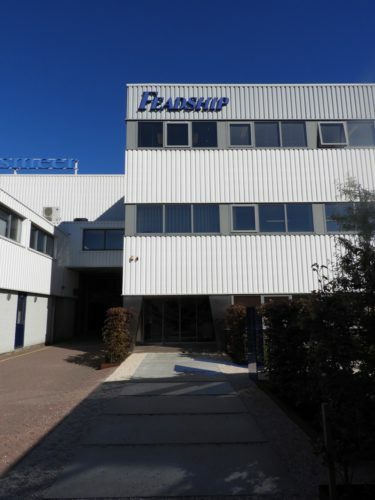 Today, Feadship consists of the 2 original founding shipyards, plusde Voogt the Naval Architecture and Engineering firm Feadship have acquired a lot of their original sub-contracting companies, to bring a lot of the disciplines “in-house”, with a combined work force of some 2,300+ workers. Both companies received their “Royal” Dutch designations, which means continuous lineage and operation of 100 years – thus now Royal De Vries (designation in 2006) and Royal Van Lent (in 2001). The Van Lent company was sold to LVMH in 2001, while Royal De Vries still remains in the family. It is quite remarkable that 2 privately and separately owned companies, still manage to maintain a common public persona and intimately coordinate sales and logistics after all these decades. 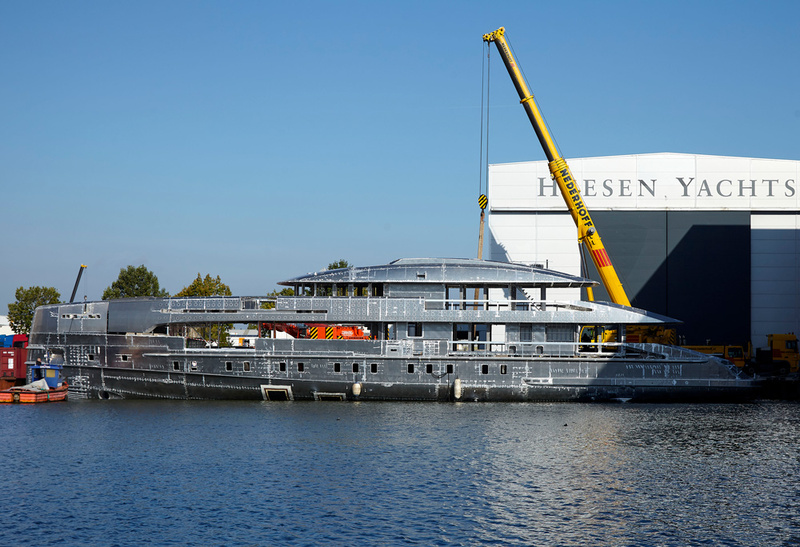 Currently De Vries operates 2 yacht building facilities – the original facility, located in the small town of Aalsmeer, just south of Amsterdam, consists of 50,000m2/538,000ft2 of construction sheds and has launched the 92m “Aquarius” in 2016, the largest yacht built at the facility. Actually it is not so much length that restricts the size of construction at this yard, but beam, which due to the size of locks that have to be navigated to get the vessels to sea. 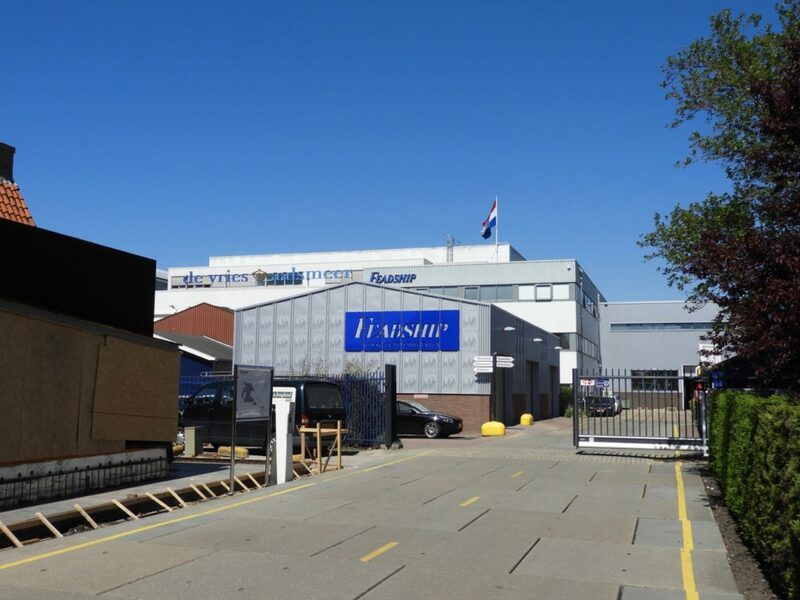 The 2nd facility operated by De Vries is located in Makkum, an hours drive north of Amsterdam, which was purchased from Amels/Damen Shipyards in 2005. 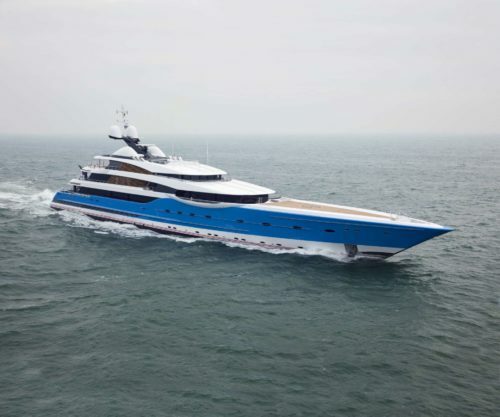 This facility, located on 17+ acres of land, boasts a drydock and building shed of some 170m/557’ in length and is capable of building yachts of 120m+ and indeed is where De Vries has launched its largest yachts from – the largest to date is “Madame Gu” at 99m, which was launched in 2013, however there is a 110m vessel under construction that is due for delivery late 2018. Yacht yards use “yard build numbers” to initially refer to the new builds, which of course can be used to trace the history of each vessel. De Vries use 2 different numbering systems to differentiate between the 2 yards, with vessels being built at Makkum started with yard #1001 (launched as “Ocean Victory”, now “Ebony Shine”). While at the Aalsmeer facility, the company is up to yard number #701, a 51m Explorer vessel. The original facility, located at De Kaag Island, a small village south of Amsetrdam, dates back to 1849! 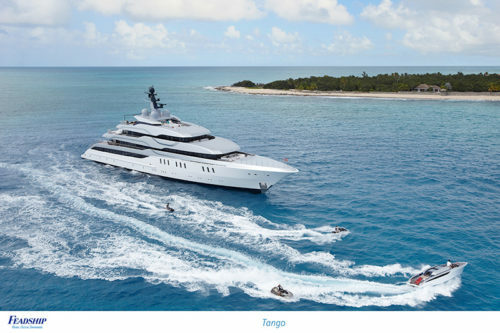 This facility has built the longest Feadship launched to date – “Symphony” at 101.5m/333’, in 2015, for the Chairman of LVMH. Royal Van Lent is building a new facility in Amsterdam, which will be capable of building the largest Feadship’s (up to 160m/525’). 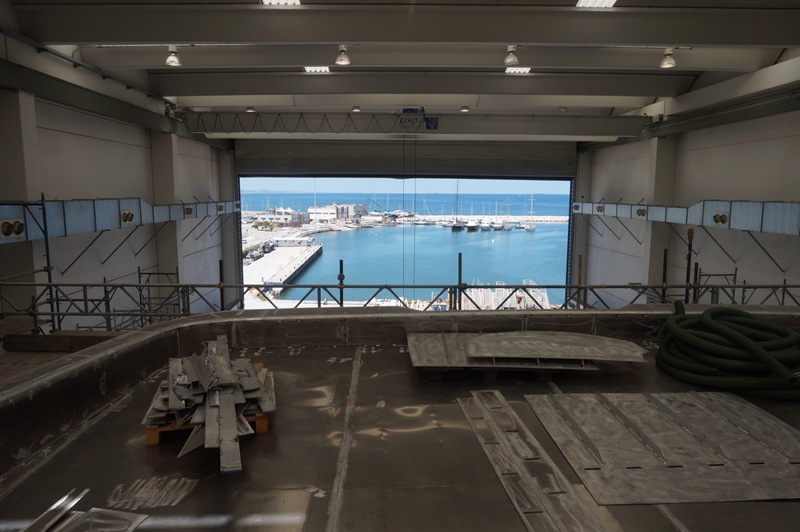 Consisting of a 170m dock/shed, the facility is due for completion in 2019 and is already rumored to be the site for construction of a 118m yacht, the biggest in Dutch yacht building history. 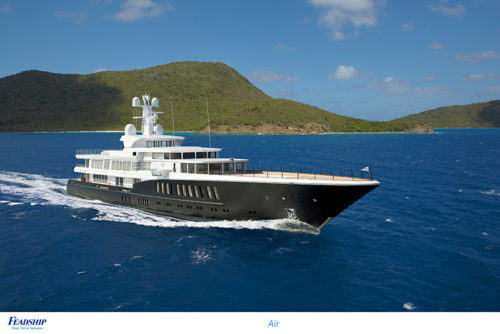 More information on Feadship’s new facility here. Akerboom Yacht Equipment – manufacturers of Cranes, davits, gangways, passarelles, hatches and hinged platforms, etc. While some disciplines are outsourced, the combined companies are predominantly Dutch and virtually everything is “bespoke” (custom built), right down to the hinges for doors, which are custom manufactured in house! Most Feadships are custom designed and built as “one off” vessels, specifically for each individual client and offer a very varied cross section of styles and performance, from large steel displacement yachts to a 49m – 30kt all aluminum yacht currently in build at De Vries. 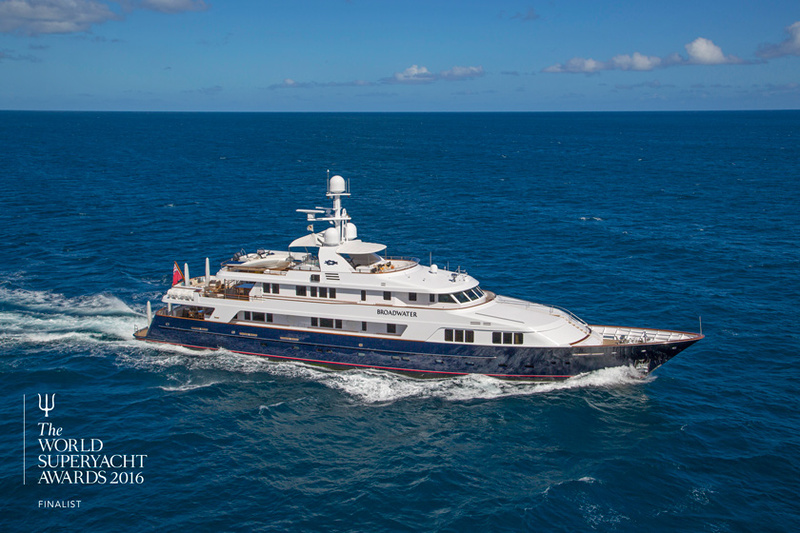 However over the years Feadship have built several “lines” of “semi custom” vessels – i.e. 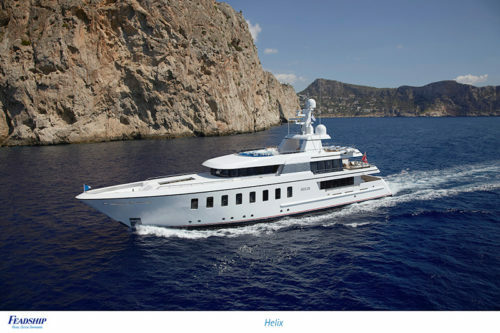 vessels with a common hull, superstructure and engineering package, but an ability to customize the interior décor/layout. This includes the 45m series F45 (5 were launched). The latest model – the recently delivered 34m/111-113’ series motoryachts, the smallest Feadships being delivered for many years. 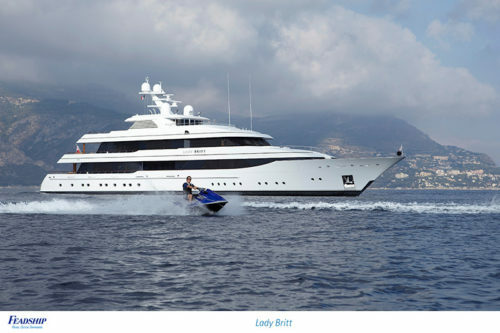 The company only went ahead with this project when an existing client, who owned a larger Feadship asked them to build a smaller vessel. The company said they would, if the client could persuade 3 of his friends to also build a boat using the same platform! To date the company has built 5 x 34m yachts, the first being delivered in 2016. 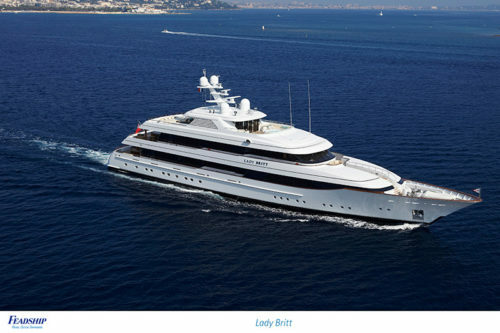 While Feadship builds their yachts for customers around the world, their most important single consistent market, is still the USA, with some 50+ % of their production being sold into the States on a regular basis.